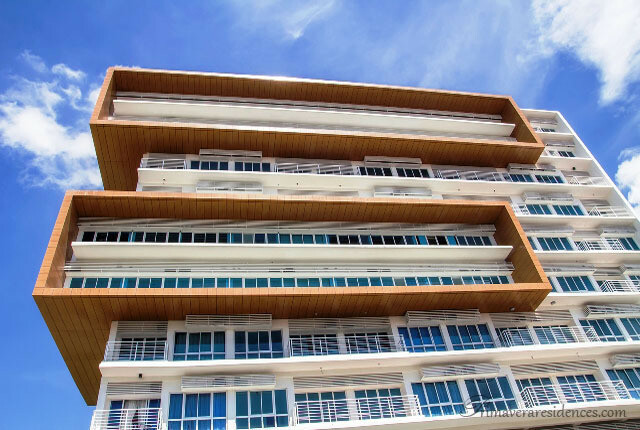 How Does Primavera Residences Keep Itself Cool and Save on Energy? The towers are also designed to have cantilevered edges, the part of the building painted a shade of brown, that produce shadows that minimize direct sunlight moderating the temperature inside the units. For two days I experienced the benefits of living uptown at Primavera Residences, Cagayan de Oro’s only eco-friendly condo building that also happens to be recognized internationally for its sustainable and green architecture and construction. In February this year, the legendary National Geographic Magazine cited the developers of Primavera Residences, Italian architect Romolo V. Nati and Filipino lawyer Jojo Leviste as The New Philippine business leaders. What an honor for our city to be renowned worldwide because we are the first city to host this pioneering real estate project, a building that is not only eco-friendly but also built to withstand extreme weather like typhoons and earthquakes. Families that choose to make a life in this condo building are sure to have much peace of mind. It’s very safe and it is located very high at 110 meters above sea level, making it flood-free, and just beside the mall, the best schools in the city, multinational companies, shops, restaurants and spas. I’d also like to cite a couple of good things at Primavera Residences that I know many people will find very interesting and exciting. The building is designed not just with passive green features that leads to 20% energy savings and smaller carbon footprint, but soon will be installed with active energy-producing solar panels, which will increase the residents’ energy savings further. Passive cooling techniques used at Primavera include an inner courtyard that combined with each units’ cross-ventilation layout, enhances natural airflow and optimizes natural light. This lessens air-conditioning use and reduces the need for artificial lights. When I noticed the window shadings, I asked about them and and I was informed by my tour guide that they weren’t just design elements to make the building look nice but a passive design feature to maximize cooling. If you’ve noticed, each window-shading section is positioned somewhat differently from the others – this is because they are positioned for the different times of the day where the sun would shine at certain spots. The cantilevers were placed there to provide the shade needed so the sunlight will not hit the insides of the units directly. The building will also use an active on-site energy generation from photovoltaic or solar cells which will soon be installed on the roofs of both towers. This will increase energy savings further. You can experience the life at Primavera Residences as a condo unit renter, unit owner, or business owner. When I examined the rates I saw with surprise that the rates are practically the same, maybe even more affordable than the other condos in the city that are still just pre-selling. I was told by the building’s general manager that ITPI Corp. the developer, had actually absorbed a portion of the cost of development to keep costs down for buyers. You can also drop by anytime and you will not regret it. Many activities are now being hosted at Primavera Residences, organized by the property management as a way to engage and give back to the community. Tired of losing electricity from power shortage? Tired of high electric bills? Want to live a more eco-friendly lifestyle in CdO at a very affordable cost? Click here.